Here are just a few of the reasons I find viola ensembles to be so valuable in the private studio. Viola players, myself included, do not generally seek the spotlight. I’ve never met a student viola section that plays too loudly, and even in adult professional orchestras, players often need encouragement to play out more. Many of my students are shy and the viola ensemble is a special chance to showcase the viola players together, with the violists playing the melody, instead of always playing a supporting role. I teach students both in the Suzuki and traditional programs who come from all over the St. Louis metro and west suburbs. Although for some students, it’s only twice a year that they are all together, having my students rehearse and play in the viola ensemble has meant that they recognize each other later at All-Suburban and Solo Festival and that their parents get to know each other too. Anything I can do to foster studio unity is a win in my book. For my Suzuki students, playing in a multi-part arrangement is a change of pace from regular group lessons and teaches higher level ensemble skills. My viola ensemble arrangements are very multi-level. I try to find or arrange pieces which can include students from Twinkle through at least Book 5. Having younger, less experienced students in the ensemble gives me an excuse to put my older players in a leadership role. Given some responsibility for the group, even shy older students will learn to lead and to give cues, or just stay on rhythm while I play along with the younger students on their part. In recent viola ensemble performances, my students have gotten to play pop and rock music and music based on a 6th century Islamic song. I love the music from the Western canon that is found in the Suzuki books, but it’s also important that students know about the greater musical world. From a practical standpoint, pop songs also have very simple, repetitive bass lines which are perfect for my younger students! Who doesn’t love playing Star Wars? It’s a lot of fun playing some of these pieces together and gives the students a chance to enjoy a lower-pressure performance. In my experience, many advancing middle school students are not challenged in their school orchestra program, and rarely get the melody. It’s great to be able to give those students an extra challenge, while having younger students play parts at their level. From year to year, students can recognize when I have moved them up a part, based on their playing and reading level, so this is a bit of extra motivation too. Mostly more intermediate to advanced arrangements, but some that could work well for student groups. Scroll down for viola quartet pieces. There are some great, fun little pieces for students here! Comes in Volumes 1 and 2. 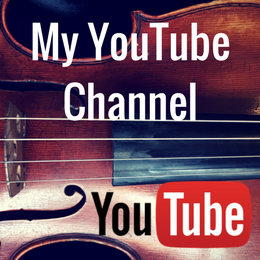 Perfect for viola and mixed violin/viola group class, or for playing along with students in their lessons. I use this book practically every week. I LOVE these arrangements for holiday concerts. I’d say they are mostly late book 1 level and above. FYI, it does tend to go out of stock around the holidays. This is a great little collection perfect for Book 1 and 2 level students. Fun fiddle tunes that are easy to put together and to memorize. The same author also publishes a Mariachi and Celtic fiddle series. My Scores I’m still adding new pieces, but I have arranged more popular music, rather than classical or folk. Fun and cute shorter songs in 3-part harmony. Can also be used with the accompanying violin and cello books for a mixed studio/school group. More at an intermediate level, there are some gorgeous arrangements here for older students. The Humoreque/Swanee River Duet has become a classic choice for viola groups at Suzuki institutes. There are three volumes and they are all good. Do you have any other ensemble resources that you love? Comment below and I will add it to my list!